Jose moved to Tallahassee in 2011 to take graduate level courses in Sports Nutrition at FSU. 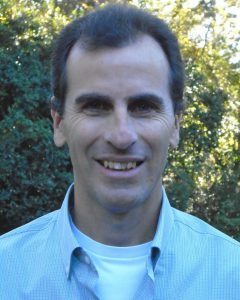 He has taught mathematics for 16 years at the high school level and has 23 years of successful coaching experience in the sports of cross country and track & field. He is truly a life-long learner as he has two undergraduate degrees (B.S. in mathematics education & a B.S.H. in Nutrition) and two Graduate degrees (M.A.T. in Technology & a M.S.E. in Physical Education). We are fortunate he has chosen real estate to continue his love of learning as he is passionate about delivering the best possible service to his clients. Jose is empathetic and extremely considerate of others. He is the type of person who walks the shopping cart all the way back to the grocery store from the parking lot. If you are looking for a Realtor in the Tallahassee area who listens, plans, and will achieve your real estate goals, then Jose is an excellent choice. His experiences as a teacher and coach will help successfully guide you through the buying and/or selling process.